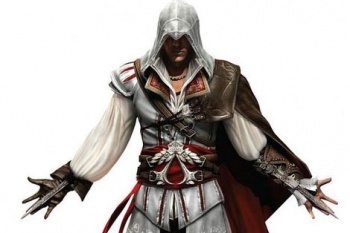 The baffling deal between Sony Pictures and Ubisoft to bring Assassin's Creed to the silver screen guarantees the project will fail, according to Hollywood insiders. With so many game-to-film adaptations taking shocking liberties with the source material -- Super Mario Bros. anyone? -- Ubisoft wanted to ensure that its blockbuster Assassin's Creed series would be handled with care in its transition to the big screen. When the publisher struck up a deal with Sony Pictures, it was specifically under the proviso that the film company would give Ubisoft complete creative control. That alone guarantees that the film will never see the light of day, according to a Vulture report. To make the deal, Sony had to grant the gaming company approval over just about everything - budget, principal cast, script, release date - and Hollywood spectators are flabbergasted. Notes one incredulous insider, "As a director, even Steven Spielberg cannot get this kind of deal." And yet it's this very overarching power that may doom the project, as it has other gigantic video game movies. Notes one Hollywood talent agent who represents a smaller video game publisher, "The whole Ubisoft/Sony deal is a waste of ink, paper and time. The level of control Sony gave up means, effectively, that Assassin's Creed will never -- and I mean never -- get made." As evidence, Vulture offers a list of other Hollywood studios who balked at Ubisoft's demands, before Sony Pictures finally signed on to the project. DreamWorks, Universal and Warner Bros. were all at one time working with Ubisoft on a deal, but "were ultimately put off by the game-makers' demands." Hollywood seems to understand Ubisoft's motivation, but simply refuses to see the publisher as capable of making the film. "It's [Ubisoft's] billion-dollar brand, so I get that they're protective," one unnamed studio executive said. "But they're not moviemakers, and the only way to make sure it's a bad movie is to undervalue what movie studios do -- and this is a deal that totally undervalues what movie studios do." Speaking rationally, they may have a point. What does Ubisoft actually know about making movies outside of the virtual realm? Speaking as an anti-authoritarian zealot however, I applaud Ubisoft's efforts, and hope that it succeeds if only to shatter a small piece of the ego-shield that protects the hegemony of the Hollywood machine. Double points if that means photo ops of Yves Guillemot wearing a Guy Fawkes mask and screaming Public Enemy lyrics from the top of Mulholland.